The New Honda Accord Hybrid Coming Soon to Everett is the car to have if you love a quality mid-sized sedan, prioritize style and handling, and want to add an environmental bent on top of that. The 2019 Accord Hybrid is all-new this year, and is well-known for its refined handling, the impeccable, Honda-brand styling, and excellent reliability. The New Honda Accord Hybrid Coming Soon to Everett uses a 2.0 liter four-cylinder engine rated at 143-horsepower combined with a 181-horsepower electric motor, making for 212 combined horsepower. The Accord employs direct drive gearing, which offers smoother shifts and better cruising at a higher gear. It’s a feature that’s primarily found in electric-propulsion and hybrid automobiles, and the Accord takes advantage of this. Honda has put four levels of regenerative braking, which can be adjusted with a special paddle on the steering wheel. The Accord Hybrid’s suspension is well-tuned, and between it providing a smooth, comfortable ride for the passengers and driver and its powertrain being delightfully quiet, this sedan manages to keep a level of refinement that any driver would enjoy. 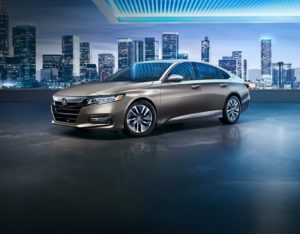 The New Honda Accord Hybrid Coming Soon to Everett comes in a few trims, allowing you to choose exactly what you need. One of the most notable features is that Honda Sensing comes standard on all models. Honda Sensing is a suite of safety and driver-assist technologies that help keep an eye on the road when you can’t necessarily see everything. 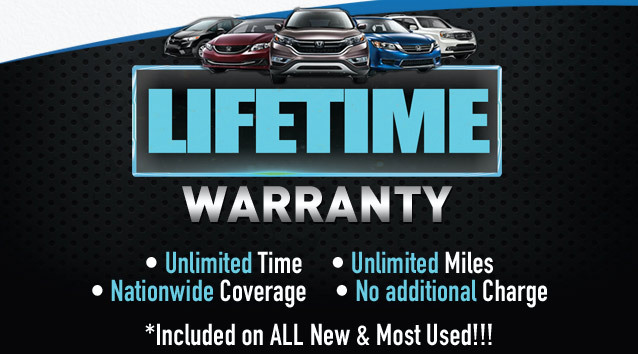 This includes a collision mitigation braking system, a road departure mitigation system, adaptive cruise control, lane keeping assist, and traffic sign recognition. Other standard features include 17-inch aluminum wheels, LED low-beam headlights, dual-zone automatic climate control, and remote start. If you step up to higher trims, you’ll enjoy heated seating, leather trim, support for Android Auto and Apple CarPlay, and more. Hybrid vehicles are on the rise, particularly around cities or anywhere where there’s a lot of stop-and-go traffic that can put a drain on a conventional gasoline car. Not only can a hybrid save you money at the pump, but it can also allow you special privileges in certain states, such as driving in the HOV lane when you don’t have a partner to carpool with. Hybrid vehicles are also exempt from certain examinations, and your purchase is even eligible for some tax cuts. 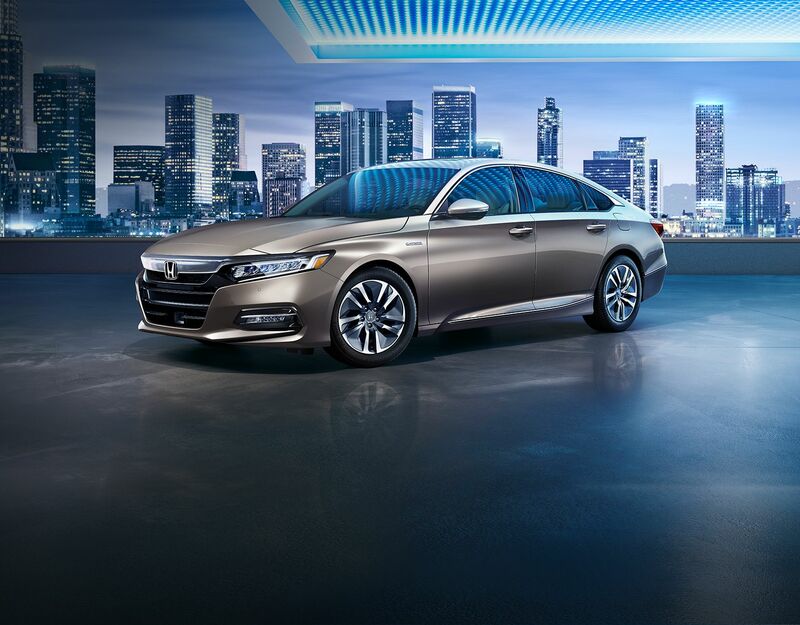 Get more information on buying your hybrid vehicle from Klein Honda of Everett, a seller of the New Honda Accord Hybrid Coming Soon to Everett.